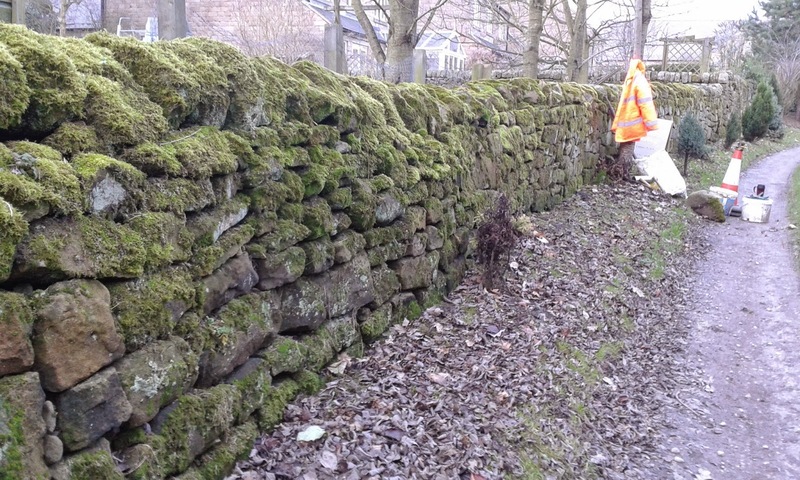 Copestone Dry Stone Walling: Walls and more walls! Been a busy month or so...dodging snow, stone stuck together with ice...hmmm, that was a new one! and now the purchase of large tarps so I can continue even when it snows! 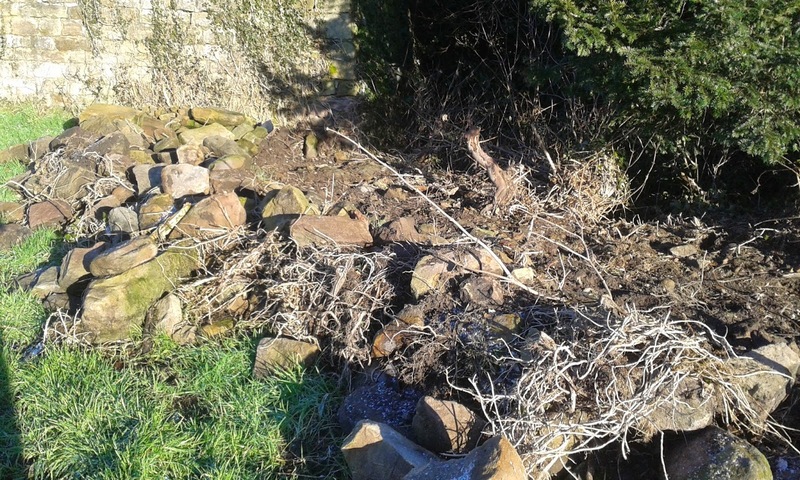 Unfortunately a jcb had been used to take down this field wall...they had also scraped a large amount of earth over the stone so the first day was spent digging the stone out from the earth before I could grade it! Finally finished with 3 stones left over!!! Remember the asbestos wall..as in asbestos stops play...or rather, walling? Lovely stone but not used well to strengthen wall as much of it had been stood on it's side rather than length in - this would indicate that they were short of stone on building it. Rebuilt whilst trying to use original faces so it maintains it's established look rather than a repaired gap...which of course is what it is!